What Happens When You Get a DWI under 21 in Louisiana? Baton Rouge is a college town, home to Louisiana State University, Southern University, the LSU Tigers, and the Southern Jaguars. LSU football games and tailgating are popular pastimes, and the police know it. The Tigerland bars and Third Street provide a thriving nightlife for young people, and that nightlife also provides plenty of business for the Baton Rouge Police Department and East Baton Rouge Sheriff’s Office. Underage DUI is a special charge for drivers under the age of 21, who give a blood alcohol sample with a blood alcohol content between 0.02 and 0.0799. It’s tricky, because the defendant has to provide a blood alcohol sample, and refusing the blood alcohol sample generally gets the driver charged with adult DUI regardless. It’s also a misdemeanor crime that goes on your record, and may make future employment or education more difficult. Baton Rouge is a city that falls under multiple jurisdictions – inside the city limits, misdemeanors are handled at Baton Rouge City Court. Outside the city limits, criminal matters go to the 19th Judicial District Court. Also within East Baton Rouge Parish are the cities of Baker, Zachary, and Central, all of which have their own traffic courts. There is no DUI, or DWI, in Louisiana – the terms are interchangeable, and the actual charge is “Operating a vehicle while intoxicated” or “Underage operating while intoxicated.“ DUI and DWI are common abbreviations, which can mean Driving Under the Influence, Driving While Intoxicated, or Driving While Impaired. Operating a vehicle while intoxicated is a charge that can be used to enhance other DUI charges. First and Second Offense DUI are misdemeanors, while Third Offense or more is a felony, with more jail time, higher fines, and more loss of rights. The crucial difference between and adult DWI and underage DWI conviction is that an underage DWI conviction cannot be used to enhance future DWI arrests. (a) The crime of underage operating a vehicle while intoxicated is the operating of any motor vehicle, aircraft, watercraft, vessel, or other means of conveyance when the operator’s blood alcohol concentration is 0.02 percent or more by weight if the operator is under the age of twenty-one based on grams of alcohol per one hundred cubic centimeters of blood. (b) Any underage person whose blood alcohol concentration is found to be in violation of section 11:140 shall be charged under its provisions rather than under this section. The penalties are slightly different, but generally include a fine and jail time, but the jail time can be suspended by performing 32 hours of community service (include 16 hours on roadside litter pick up), participation in a court approved substance abuse program, and driver improvement school. The judge may impose additional conditions based on their own view of the case. The Baton Rouge Code of Ordinances does not include jail time for a first offense underage driving under the influence. What is the legal blood alcohol limit under 21? A BAC of 0.02 or higher gives the prosecution a presumption that a driver under 21 is legally impaired – and unable to drive safely. The “legal alcohol limit for under 21” is deceptive, because it’s actually a guideline, and not a rule. If a person gives a breath or blood sample, the breathalyzer (or lab technician) can derive a blood alcohol content based on grams of alcohol per one hundred cubic centimeters of blood. If the driver is at or over the limit set out in the law, the Court may presume (basically assume) that the person was intoxicated. For underage DUI, the legal limit for under 21 is 0.02 to 0.0799, which gives a presumption of intoxication. The adult presumption kicks in at a BAC of 0.08, which is why the underage statutes say that if the underage person’s blood alcohol concentration is 0.08 or over, they’ll be charged as an adult (potentially including enhanced penalties for a BAC of 0.15 or higher). What it doesn’t make clear is that an underage driver who refuses testing is also charged as an adult (under 14:98(A)(1) or 11:140(A)(1), “operator is under the influence of alcoholic beverages.” – without specifying a BAC level.) Likewise, drivers under 21 who have been smoking marijuana or using other narcotics (even misuse of prescribed pharmaceuticals) are charged as adults. (b) probation, with thirty two hours of community service, and court approved substance abuse and driver improvement programs. (Baton Rouge Code of Ordinances 13:1018.1) The State law is actually more forgiving, providing for a fine of not more than $100.00, and no jail time (La. R.S. 32:300). The law doesn’t care if someone’s actually drinking or not, or whether it’s the driver or passenger, it’s the possession of an opened container of alcohol on a public road that is the violation. If the liquor is secured in a trunk or locked compartment (for vehicles without trunks), that’s not a violation. Likewise, sitting in a car, in a parking lot, isn’t possession of alcohol in a motor vehicle, but it may still be “open container in public.” There are exceptions for special circumstances, such as people riding on Mardi Gras floats or passengers in certain vehicles for hire, and those are interesting, but those aren’t the citations that get written, as a rule. Baton Rouge has a special ordinance, 13:91.3, which makes it unlawful for persons under 21 years of age to possess alcoholic beverages, except under special, limited circumstances. This is a separate offense from open container in vehicle, or open container in public, and is often charged in addition to either of those two more general charges. Minor In Possession, or MIP, is a common charge for students and young people at LSU football games, tailgating, Tigerland Bars, and downtown Baton Rouge. Drivers under 21 are in a difficult position. You have the right to refuse the field sobriety tests, and the right to refuse breath or blood testing, but that doesn’t mean you won’t be arrested or charged with DWI or underage DWI. The police do, sometimes, let people go after successful field sobriety testing, but it’s exceedingly rare. Having an open container in the vehicle, or having any odor of alcohol or marijuana on your person, pretty well guarantees and arrest. If you take the field sobriety tests, or give a breath or blood sample, you’re gambling on a blood alcohol content less than 0.08 to avoid adult consequences. A blood alcohol content of 0.02 isn’t much alcohol at all, but refusing to give a sample increases the likelihood that a driver will be charged as an adult. Every situation is different, and being pulled over and accused of driving while intoxicated is stressful and frightening at best. In general, if you have any doubt that you won’t be able to pass the field sobriety tests, whether due to intoxication, fatigue, physical limitations, or other issues, you probably won’t pass the tests. If you’re under 21, and you’ve had even a few drinks, you’ll probably be at a BAC of 0.02 or higher – but guessing when you’ll hit that BAC of 0.08 is difficult. Field sobriety tests are designed to test balance, involuntary eye movement, and ability to follow complex instructions. They are difficult for sober people, especially at the end of a long day. DUI officers rely on drivers to convict themselves. Most people are taught to cooperate with the police, to explain and assist the police, and that training goes against your self-interest when you’re suspected of DWI. Even if an underage driver is charged with adult DWI, the absence of field sobriety tests and a BAC will make it hard to get a conviction. If you have multiple prior refusals in a five year period, there may be criminal charges for refusing to provide a BAC sample on demand. Underage driving while impaired is a misdemeanor, which means a criminal record if you’re convicted. It’s also rarely charged by itself – other traffic infractions are usually on the same citation or ticket, such as improper lane usage, speeding, careless operation, reckless operation, or failure to maintain control. Although the officer can give the driver a citation and let that person call a sober friend or parent, underage DUI consequences often include a trip to jail, requiring the posting of a bail bond or arranging a sign-out bond (release on recognizance). It is humiliating and dehumanizing, at best, and leads to publication of the driver’s name, address, and charges in the local newspaper and online. Refusing the BAC test will generally suspend the driver’s license, and conviction of any DUI or DWI, whether over or under 21 years of age, will suspend the driver’s driving privileges. Getting a hardship license is tricky and cumbersome, and legal assistance may make the difference between successfully navigating the bureaucracy of the DMV and being stuck on a bicycle for a year. Every driver should know that a conviction for driving under suspension suspends the driver’s license for an additional year, consecutive to any current suspension – which means when you finish the current suspension, they tack on another year at the end. And they stack. Depending on the jurisdiction (whether you fall under State or municipal law), the penalties are going to vary. The penalties may include monetary fines, driving school, a substance abuse evaluation, community service, probation, or even jail time. Additional traffic charges may add additional fines or other penalties, depending on the type of traffic charge and severity. A vigorous defense, or a well-crafted plea bargain, can limit or minimize a driver’s penalties. Only you know your future plans and desires, but as a former prosecutor, Joseph K. Scott, III has spoken to many students in college and professional programs who were concerned that they wouldn’t be able to get their law license, nursing license, medical license, engineering certificate, or start a military career due to an underage DUI. Pretrial diversion and pretrial intervention programs are usually available to first time offenders, and sometimes are the best choice for those defendants, but that’s part of what an experienced criminal defense attorney will help to determine. Pretrial diversionary programs are sometimes expensive and cumbersome, and sometimes, those requirements are negotiable, if you can navigate that maze of bureaucracy. You don’t have to do it alone. Teenage driver’s license suspension is a delicate subject, because so much of it depends on the discretion of the arresting officer. Whether that officer charges a driver with underage DUI or simply traffic violations, or charges the driver with adult DUI, may impact the length of suspension. The prosecutor, reviewing the officer’s charges, may increase or reduce the severity of the officer’s citation, and may add or subtract charges from the ticket that the driver got on the road or at the station. Refusal to take a breath test by a driver under 21 results in a minimum three month suspension or six months for a driver over 21, but both of these are subject to enhancements and variables. If the driver has had prior arrests for DUI, or prior refusals to provide a BAC sample, or if there’s an accident with injury, the suspension may be longer (or unrefusable). If there’s a judge on call, the officer may call for a warrant to take a blood sample. All of which may be reversed by an administrative law judge at an administrative hearing, if the driver acts quickly – within fifteen or thirty days of arrest. 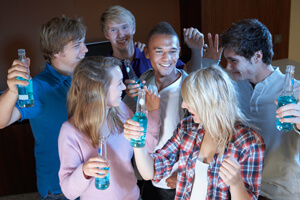 How Can I Fight Charges of Underage Drinking and Driving? Joseph K. Scott, III, has spent years defending and prosecuting underage DUI and adult DUI, and understands how disruptive these accusations can be to a person’s life and livelihood. Joseph Scott will review the city or state’s case with an eye for detail, evaluate the case against you, and advise you on how to minimize the disruption and damage to your life, from driver’s license and OMV assistance to motions, plea negotiation, guidance through pretrial diversion, or trial, and sentencing mitigation. Baton Rouge DUI lawyer, Joseph Scott, understands how law enforcement and the prosecution work together to put together what looks like an unbeatable case against the uninformed citizen, and how delicate that “unbeatable” case really is. Joseph Scott is also a realist, who will tell you when the case is strong and help you figure out how to minimize the damage or negotiate the best available plea agreement. Some lawyers will tell you they can beat any DUI case – and Joseph Scott has beaten most of those lawyers, at trial, as a prosecutor. Don’t fall for guaranteed outcomes – they don’t exist. Go with someone who’s skilled, knowledgeable, and works hard to preserve your liberty and rights – get Joseph Scott. 1To compare the laws, go to the Baton Rouge Code of Ordinances, at https://www.municode.com/library/la/baton_rouge,_east_baton_rouge_parish/codes/code_of_ordinances?nodeId=10107. Compare Baton Rouge Code of Ordinances Title 11:140 and Baton Rouge Code of Ordinances Title 11:141 with the Louisiana Revised Statutes. The Louisiana State Legislature’s website has up to date laws for the entire state at http://legis.la.gov/legis/LawSearch.aspx. Louisiana’s criminal laws are in the Louisiana Revised Statutes, Title 14, and the laws to compare are La. R.S. 14:98 and La. R.S. 14:98.6. These citations are not everything you need to know about driving while impaired, but they are a good place to start. 2Partial citation, to see the entire law, go to http://legis.la.gov/legis/LawSearch.aspx. These citations are not everything you need to know about driving while impaired, but they are a good place to start. 3Partial citation, to see the entire ordinance, go to https://www.municode.com/library/la/baton_rouge,_east_baton_rouge_parish/codes/code_of_ordinances?nodeId=10107. These citations are not everything you need to know about driving while impaired, but they are a good place to start.